Used Meredith "Open Tone" Bb/A compensating cornet in silver plate. 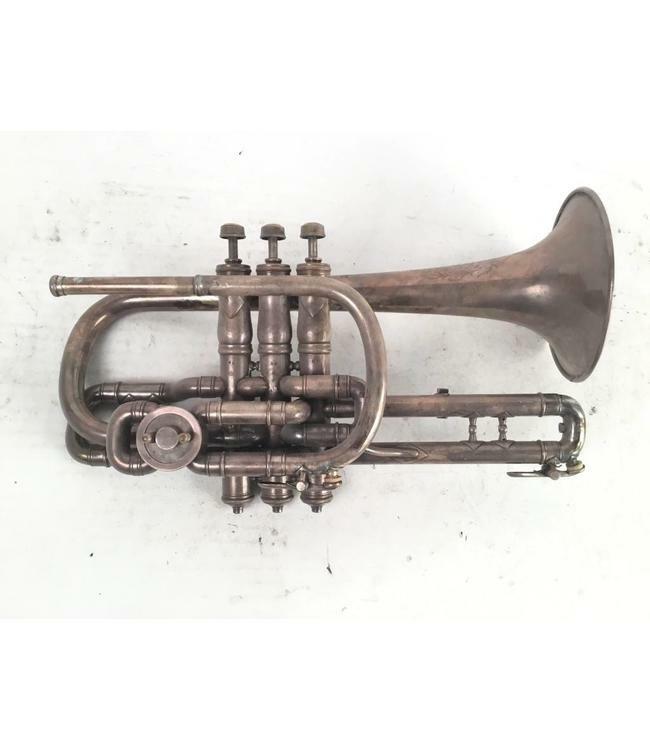 This cornet has been restored to playing condition, but is missing 1st and 3rd valve adjustment screws. Does not come with a case.